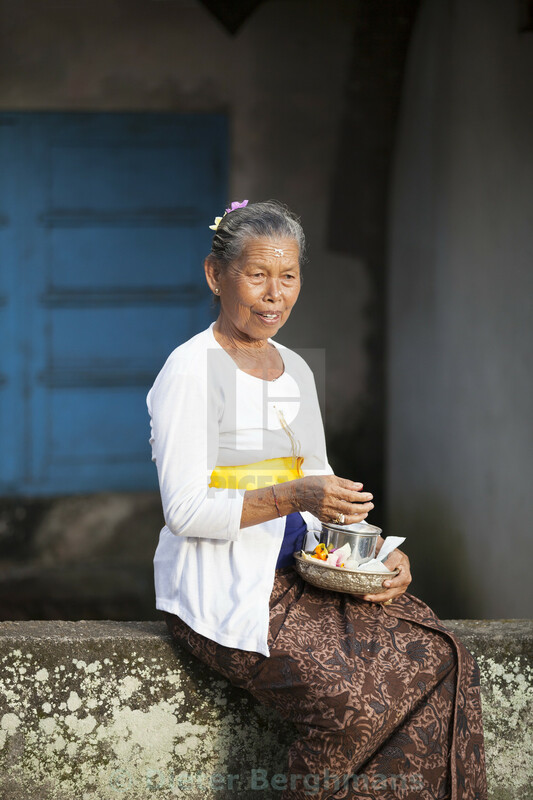 Taken in Sidemen, Bali, during our project "Sisters of Craft". After having witnessed a very big traditional ceremony, I saw this older lady sitting on the side of street, contemplating after the prayers. With the perfect light in the late afternoon, this became a very powerful and strong photo.